Season two of LeBron James' HBO show "The Shop" is set to premiere March 1, and the network announced Thursday a handful of stars who will appear as guests on upcoming episodes of the series. James and co-host Maverick Carter will be joined by Pelicans star Anthony Davis and Steelers wide receiver Antonio Brown in addition to Jamie Foxx, Meek Mill, 2 Chainz and comedian Jerrod Carmichael. Sports Illustrated notes the season premiere was filmed in Charlotte, North Carolina, while the players were there Feb. 15-17 for NBA All-Star Weekend. Davis and Brown have made headlines in their respective sports as players who want out of their current situations. Davis requested a trade from the Pelicans at the end of January but did not get moved before the trade deadline in early February. 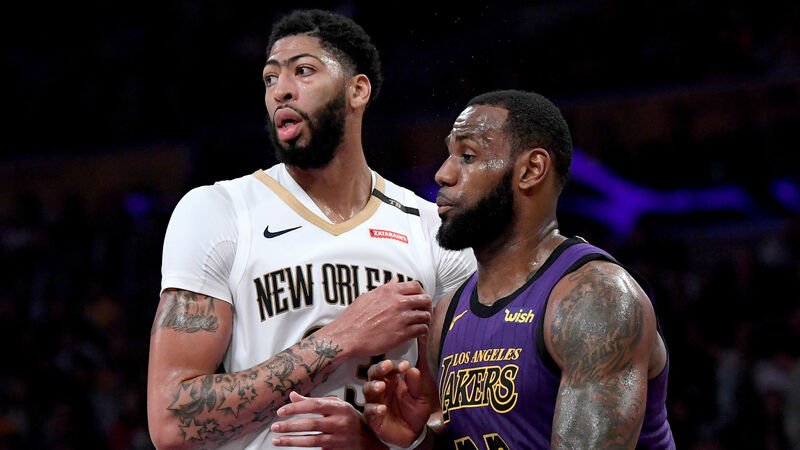 The Lakers (James' team) and Pelicans reportedly had been in talks, but the deal fell a part as the Lakers weren't willing to match the Pelicans' demands. Brown, on the other hand, met with Steelers owner Art Rooney II earlier this week and the two agreed it's "time to move on."